Quail Eggs are much smaller than chicken eggs, but the flavor is similar. 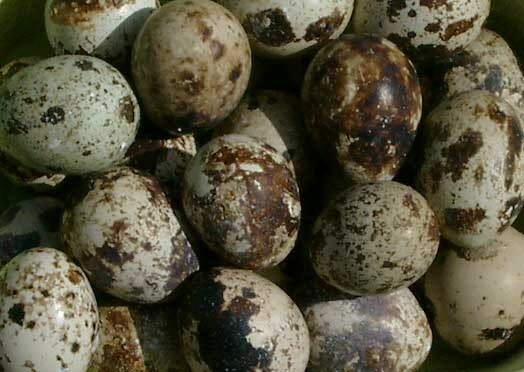 Five quail eggs are equal to one chicken egg. The shells are speckled and range in color from dark brown to blue or white. 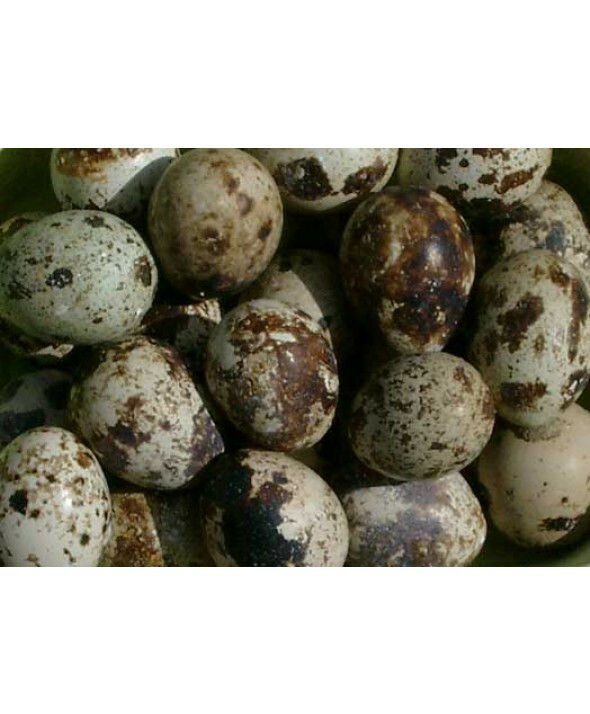 Quail eggs are often hard-boiled and served as an hors d'oeuvre, garnish, or accompaniment for salads.